Stranger Things' David Harbour Being Eyed for Cable in Deadpool 2 | Nerd Much? 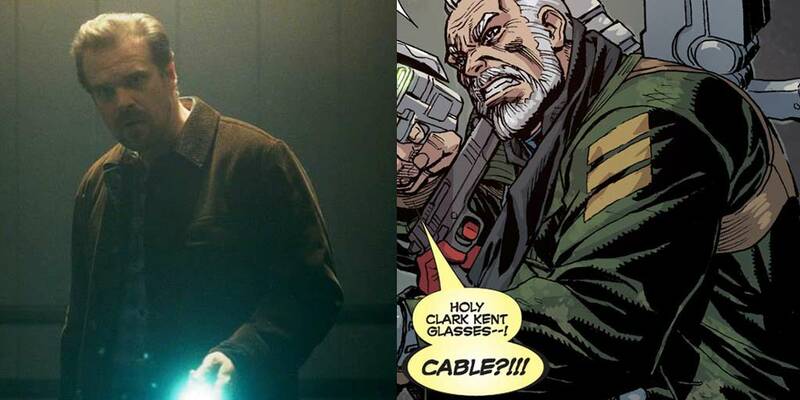 It would appear as though Stranger Things star David Harbour is being looked at for the role of Cable in the upcoming Deadpool sequel. According to TheWrap, their sources are saying that Harbour has already screen-tested for the role. Harbour is best known for his role as Chief Jim Hopper in the Netflix series, but he’s certainly been around, appearing in various other series over the past 15 years, including Law & Order, Royal Pains, Elementary, and Banshee. Of course, he was most recently seen in the Oscar-winning Suicide Squad (yes, I’m trolling). 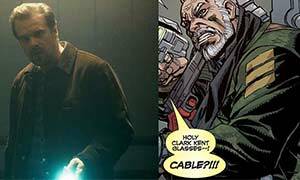 For those who don’t already know, Cable (Nathan Summers) is the son of Cyclops and Madelyne Pryor. He was born with both telepathic and telekinetic abilities, although his powers were originally more suppressed, with his power mostly coming from his traditional fighting style. He’s had many battles with both X-Men and some of the Avengers. We’re not too sure what to think about the potential casting, though, as it’s certainly unlike any of Harbour’s previous roles. However, we’d rather not see this happen, as it could potentially interfere with more Stranger Things. For now, we’ll keep a close eye on the Cable casting situation, so follow us on Twitter for the latest updates.